It's been a long time since I submitted my latest original artwork here. Glancing at the preview, the colours initially seemed a bit too bright, but on downloading the full view, it turns out to be extremely nice! Congrats on a good job with the selected colours you used! Very Nice colouring! 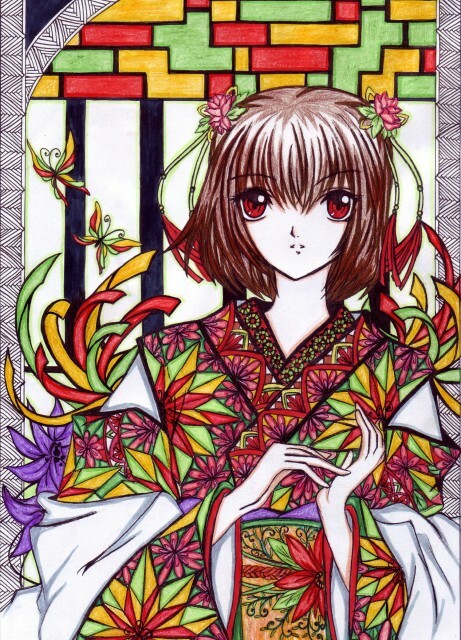 ^-^ Love her kimono it's colourful!